I’m bringing back an old favorite series today! A few years ago, I did a regular video series answering reader questions about health & fitness. It’s long overdue and I’m so excited to be back in video to answer even more of your questions today. Tips for eating out (without blowing your nutrition plan). Watch the video to get my full thoughts on these questions, or check out the summary below the video for the short version. 1. 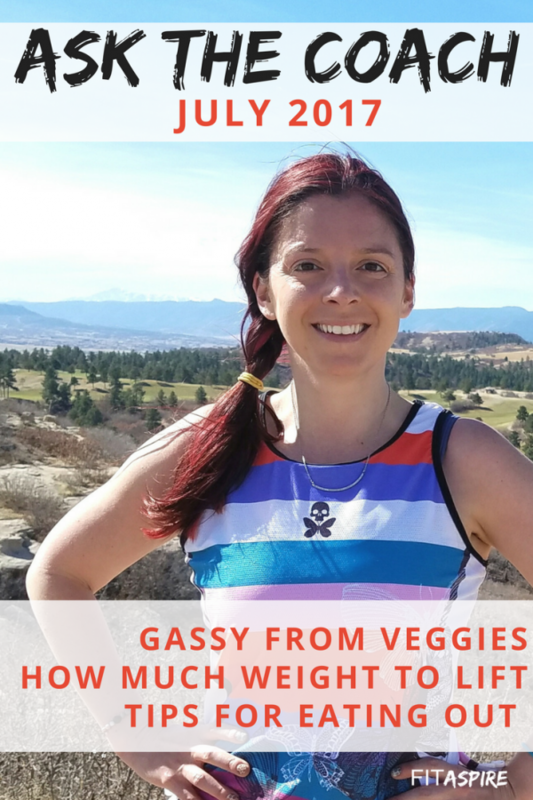 How do you prevent feeling gassy from eating more veggies? Avoid eating too many cruciferous veggies, like: Brussels sprouts, broccoli, cabbage, and cauliflower. Like beans, these vegetables also contain the complex sugar, raffinose, which can be harder for our body to process. Eat slowly (try taking smaller bites) and chew thoroughly. Reduce or eliminate fruit, as fructose can ferment in your gut. You may also find it helpful to take a daily probiotic to support proper digestion. May also be an intolerance reaction. Try an elimination diet and/or try a daily digestive enzyme. 2. How much weight should you lift? Focus on your form. You should lift enough that when you finish your assigned reps, you could maybe to do a 1-2 more reps. If you can’t finish your reps with good form, choose a lighter weight or drop down mid-set. If you can easily finish your reps, increase the weight on your next set. Plan ahead by checking out the menu online before your dinner. OR ignore the menu completely and order the protein & veggies you like directly from the waiter/waitress. This is a great approach if you are tempted by meals outside your plan when you go out to eat. 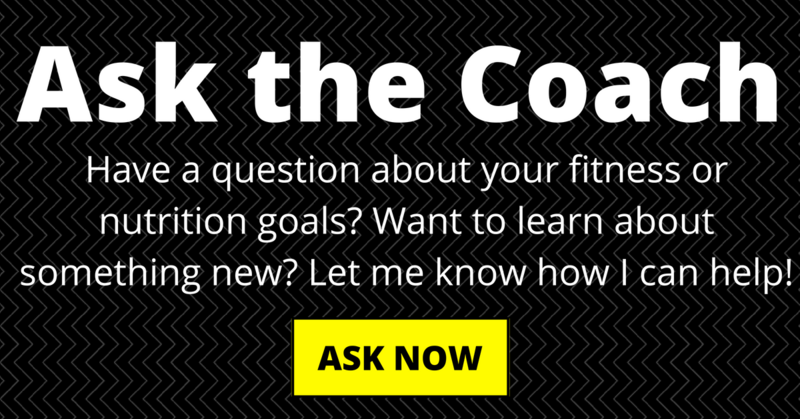 Have a question you’d like me to answer in an upcoming Ask the Coach video? Share your question here.